The structural changes within the council of ministers shall affect 20% of the vice-ministers and 25% of the deputies of local governors, PM Stanishev told journalists. Asked if the new ministers have already been selected, Mr. Stanishev said more details will be disclosed after the meeting of the Council of Ministers tomorrow, BTA reports. According to Trud daily, six vice-minsters from the National Movement Simeon the Second will be replaced – these are Milena Paunova (Ministry of Regional Development and Public Works), Evgenia Koldanova (Ministry of Foreign Affairs), Ekaterina Vitkova (Ministry of Education and Science), Lachezar Borisov (Ministry of Economics and Energetics) and Atanas Dodov (Ministry of Health). Sonya Yankulova, current Vice-minister of the Defence will replace Tsonko Kirov as a Vice-Minister of the Interior. The new Minister of the Interior will be Mikhail Mikov. 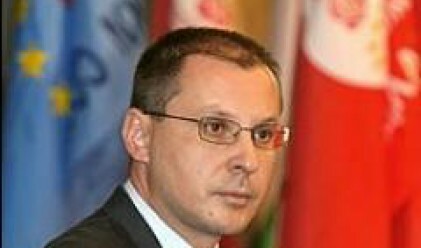 Most vice-ministers to leave their position are from the Bulgarian Socialist Party – Kamen Penkov (Ministry of the Interior), Vanya Dobreva (Education), Yordan Dimov (Ministry of Environment and Water) and Simeon Nikolov (Ministry of the Defence). The MFR replace just one perosn – Yordan Dardov (Ministry of Environment and Water).